Volcanic rock dating suggests the painting of a Çatalhöyük mural may have overlapped with an eruption in Turkey according to results published January 8, 2014, in the open access journal PLOS ONE by Axel Schmitt from the University of California Los Angeles and colleagues from other institutions. 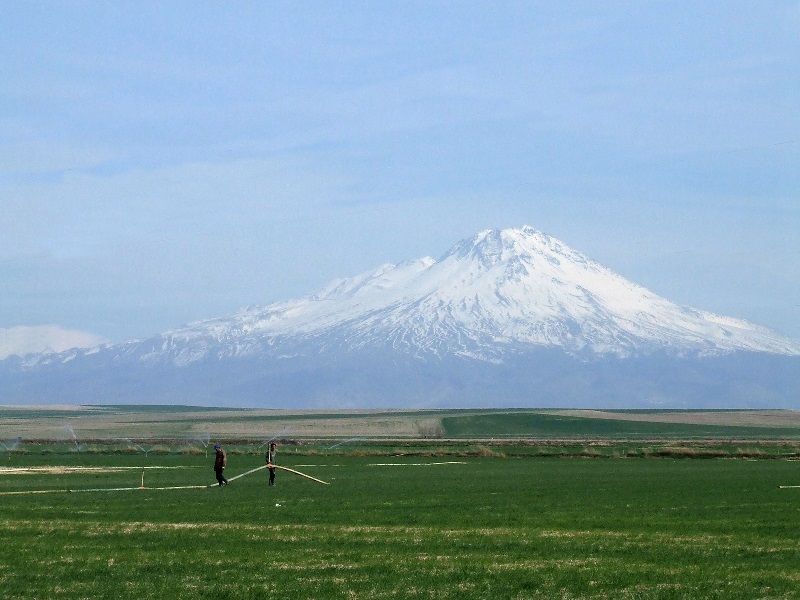 Scientists analyzed rocks from the nearby Hasan Dagi volcano in order to determine whether it was the volcano depicted in the mural from ~6600 BC in the Catalhöyük Neolithic site in central Turkey. 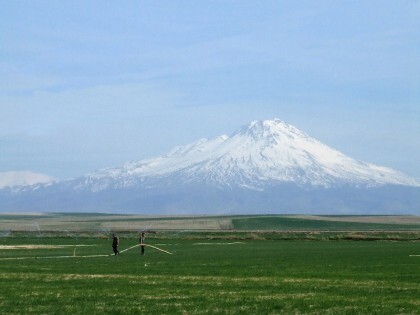 To determine if Hasan Dagi was active during that time, scientists collected and analyzed volcanic rock samples from the summit and flanks of the Hasan Dagi volcano using (U-Th)/He zircon geochronology. These ages were then compared to the archeological date of the mural. Volcanic rock textures and ages support the interpretation that residents of Çatalhöyük may have recorded an explosive eruption of Hasan Dagi volcano. The dating of the volcanic rock indicated an eruption around 6900 BC, which closely overlaps with the time the mural was estimated to have been painted in Çatalhöyük. The overlapping timeframes indicate humans in the region may have witnessed this eruption. Alternative interpretations of the mural include the depiction of a leopard skin, consistent with other art at the Çatalhöyük site.